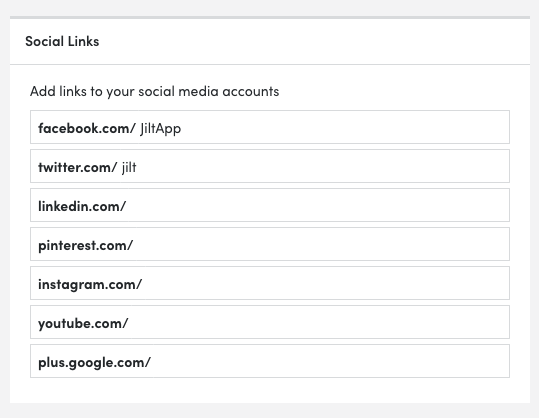 First, we'll add your social media accounts to the Settings > Brand > Social Links section. 1. 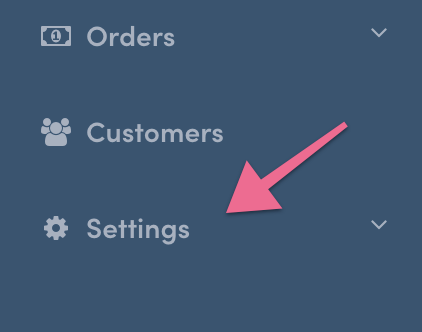 Click the Settings menu item on the left. 2. 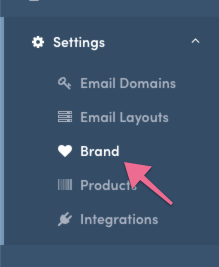 Now navigate to the Brands sub-menu item. 3. Scroll down to the Social Links section and complete the addresses for the accounts you'd like to use in your email templates. 4. Now, scroll down to the bottom of the screen and click the Save Changes button. Awesome! We're ready to add these links to an email template. 1. Open up the email you'd like to update. 2. 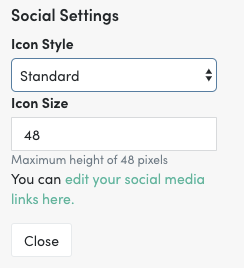 In the editor, click and drag the Social block over to the template. Then drop it into the spot you'd like it to appear. 3. Now we can make adjustments to the appearance of the links via the Social Settings menu on the left. 4. When you're finished making adjustments make sure to click the Save Changes button in the email editor.